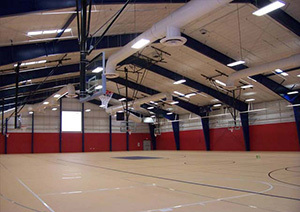 Steel buildings offer security, safety, and protection from the weather. Available in many shapes, sizes, and dimensions, they are easy to construct and are durable, so will last for a number of years with only minimal maintenance required to care for them. Buying a clearance steel building means that you can choose from a selection of prefabricated building shapes and styles, and enjoy a discount compared to the original price. They can be used for storing RVs and other vehicles, as an alternative to having a brick or permanent garage or outhouse built, or for storing tools and other outdoor items that you don’t want clogging up your utility room and other indoor areas. Some are large enough that they can be used for stabling, or for storing large farming machinery and vehicles. The strength and durability, combined with the flexibility and ease of construction, of a clearance steel building, means that they can be used for many purposes. If you have an old, classic car, or any expensive vehicle that needs to be protected from the weather and from falling debris and other possible causes of damage, then the steel construction means that the building offers total safety. They can be used for storage, have agricultural applications, and can even be used for commercial, arena, or aviation requirements. Stainless steel is rust resistant, it won’t warp when left in the sun, and it is virtually impregnable, making a clearance steel building a secure and durable option. It is strong and tough, so it is safe for use as an arena or for commercial purposes, while the array of finishes means that a clearance steel building can be used as an attractive, commercial building too. Any exterior building requirement can be met with a clearance steel building. A clearance steel building has already been constructed, which does mean that you can’t choose precise dimensions and measurements yourself. However, if you are looking for a large construction, and there is a building available in the dimensions that you want, then you could save considerable money when compared to having a building designed and customized to your measurements. Do check that the building is a suitable size, that it has the appropriate doors and windows, and that it is available in a design that suits your requirements. When compared to similar buildings of other materials, a clearance steel building offers greater durability and strength, as well as increased security and safety. The interior space will remain dry and clean, providing you with an area for storage, for agricultural housing, or for almost any other purpose. By buying a clearance steel building, rather than having one designed and built to your specifications, you can enjoy all of these benefits at reduced costs too.